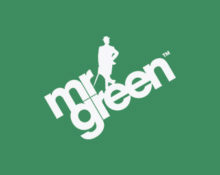 Mr Green – 10 Year Anniversary | Diamond Hunt! Find two hidden diamonds, worth €7,000 each! We have entered week 6 of the final countdown of Mr. Green’s 10th Anniversary celebrations. With only two weeks to go it is time to go on proper hunt for some of those coveted diamonds. Two are hidden in his library and the three players wagering the most on games from the Bygone Books collection will have a chance to win one of them. Plus, there will be Free Spins cascades to be found throughout the week. This week, Mr. Green is opening the library, the sixth room of his Garage Mahal, where two diamonds are hidden in two of the books. Two lucky players will be holding them in their hands by the end of the week. Plus, everyone can earn more tickets to the Cash Explosion Prize Draw at the end of September 2018 as well as activating cascades of Free Spins. Claim up to three minutes of Free Spins per day on Lucky Mr Green by wagering on the games in the Bygone Books collection – Lucky Mr Green, Laser Fruit, Ra’s Legend, Treasure Mine and Dragons Luck. Every €40 wagered across any of the eligible games above will activate 30 seconds of Free Spins as per the Red Tiger exclusive mechanic. To receive the maximum of three minutes players need to wager a total of €240. The reward is available one time per player for every day of the promotion. To activate the Free Spins countdown players need to reload the selected slot. The time will start counting the soon the first spin has started. all winnings from the reward will be added as bonus money. Wagering requirement for the Free Spins is 35x FS winnings, subject to the Mr. Green Bonus terms and conditions. Wager with minimum cash bests of €0.20 on the games in the Bygone Books collection – Lucky Mr Green, Laser Fruit, Ra’s Legend, Treasure Mine and Dragons Luck. The TOP3 players who have wagered the most by midnight on 6th September 2018 will go into a raffle for the two diamonds, worth €7,000 each. Only one diamond can be won by one player. A cash alternative of €5,000 is available. The two winners will be notified via email and phone within 72 hours.